At IINH we are always working to improve study progression opportunities for our graduates. 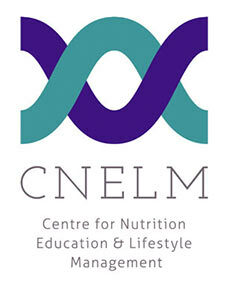 We are delighted to announce that we now have a formal partnership with the prestigious Centre for Nutrition Education & Lifestyle Management (CNELM) in the UK. (http://cnelm.co.uk). CNELM is a renowned Centre of Excellence in higher education, providing high quality and cutting-edge undergraduate and postgraduate programmes in nutritional science and personalised nutrition. These programmes are validated by Middlesex University, London, and can be studied part-time or full-time. Our graduates who progress to the online BSc or MSc programme at CNELM will continue to receive support from the IINH team until they have completed their course. Medicine and healthcare in general are evolving towards patient/client-centered approaches. Practitioners of Personalised Nutrition engage in therapeutic partnerships with their clients that address the whole person, not simply signs, symptoms and diagnoses. The practitioner spends sufficient time exploring the client’s history to understand interactions among genetic, environmental and lifestyle factors that are impacting long-term health and often complex, chronic disease states. The resulting therapeutic programme uses a variety of safe, evidence-based approaches to support the person’s unique expression of health and vitality. What is the Masters in Personalised Nutrition? The Master of Science (MSc) programme in Personalised Nutrition is an intellectually stimulating and rigorous study programme (see modules below) that cultivates the development of evidence-based personalised nutrition and promotes lifelong learning and career opportunities for graduates. The programme is delivered online, with full content support, by CNELM, and can be completed with full-time (1 year) or part-time (1.5-3 years) study. Distance learning students from Ireland can attend lectures at CNELM, situated in Wokingham, near London, subject to prior arrangement with the Centre. Modules required for the Postgraduate Diploma (PG Dip) and Postgraduate Certificate (PG Cert) form part of the Masters syllabus. Progression to the PG Dip or MSc is possible following completion of the PG Cert. Alternatively, applicants can enroll on the MSc and apply for the PG Dip or PG Cert as a fall-back award if unable to complete the full programme. What is the value of the MSc in Personalised Nutrition qualification? This advanced study programme, created and first delivered in 2012 by CNELM, is designed to serve healthcare professionals keen to expand their understanding and practice of person-centered nutrition and medicine. It attracts great interest from nutritional therapists, as well as other health professionals including doctors, pharmacists, nurses, psychologists, nutritionists and complementary therapists. The person-centred approach underpins Functional Medicine (FM). The Institute for Functional Medicine (USA) founded in 1990 and led by bio-scientists and medical doctors, collaborates with CNELM to enable students on the Masters course to access lectures from many IFM leaders in the field. Who can enroll on the Masters programme? 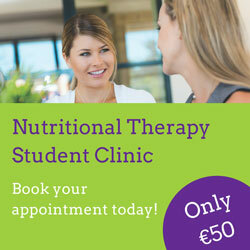 IINH NT graduates with an existing bio-science degree can register for the MSc Personalised Nutrition study programme. In certain cases, those with other higher qualifications may be admitted to the course. Other IINH graduates who have accumulated several years of robust NT experience may also be considered. The six modules in the CNELM postgraduate programme are shown below. Each module is worth 30 credits, except for the Research Dissertation (60 credits). Some modules may be mandatory for NT graduates, depending on which course option is chosen and/or any prior qualification. Applicants can enrol on the MSc, or the Postgraduate Diploma (PG Dip), or the PG Certificate (PG Cert) in Personalised Nutrition. Progression to the PG Dip or the MSc is possible following completion of the PG Cert. For IINH NT graduates: 1 year full-time; 1.5 – 3 years part-time. At CNELM, the academic year runs from January to December. Other start times are possible over the year and this is agreed at interview. The Masters is delivered by attendance or distance learning. Distance learning students from Ireland can attend lectures at CNELM (Wokingham, near London) subject to prior arrangement with the centre. MSc (or PG Cert/PG Dip) in Personalised Nutrition, awarded by Middlesex University.